Happy November! At this point in the year I am expecting things will be slowing down, giving me a chance to do some catching up on my reading. I’ve been reining in requests as well, but happily it looks like I’ll still have plenty to read this winter as the surprise arrivals keep coming in, and as ever I am always excited to be discovering new books (even if it means Mount TBR growing a little larger!) Thank you to the publishers and authors for the following review copies received, and for more details and full descriptions of the books, be sure to click the links to their Goodreads pages! Arcanum Unbounded: The Cosmere Collection by Brandon Sanderson – I’m a big fan of Sanderson, having read most of his novels, but somehow many his novellas seem to have slipped through the cracks. I was already planning to read this collection, which would give me a chance to catch up with a lot of his short fiction, so when a surprise package arrived last week containing this book I was absolutely delighted. I would like to express my utmost gratitude to the Tor Books team. Infernal Parade by Clive Barker – Another surprise arrival from the awesome folks at Subterranean Press! I’ve not actually had the pleasure of reading Clive Barker yet, even though I’ve enjoyed so much of other fantasy and horror media based on his work. I’m really looking forward to this one. Silence Fallen by Patricia Briggs – It’s no secret how much I love the Mercy Thompson series. I was already planning on requesting this upcoming (tenth!) installment on NetGalley closer to release, so you can imagine my surprise and excitement when an ARC showed up this week. My thanks to Ace Books! After Atlas by Emma Newman – This is actually one of my current reads for Sci-Fi Month, and by the time this post goes live I should be finished because I am LOVING IT. I hadn’t expected a police procedural when I picked it up, given the nature of Planetfall, Newman’s previous book set in this same universe. Needless to say, After Atlas is very different, but it’s pushing all the right buttons for me so far. Stay tuned for the review and a special Sci-Fi Month giveaway sometime in the next week! With thanks to Roc for the opportunity. 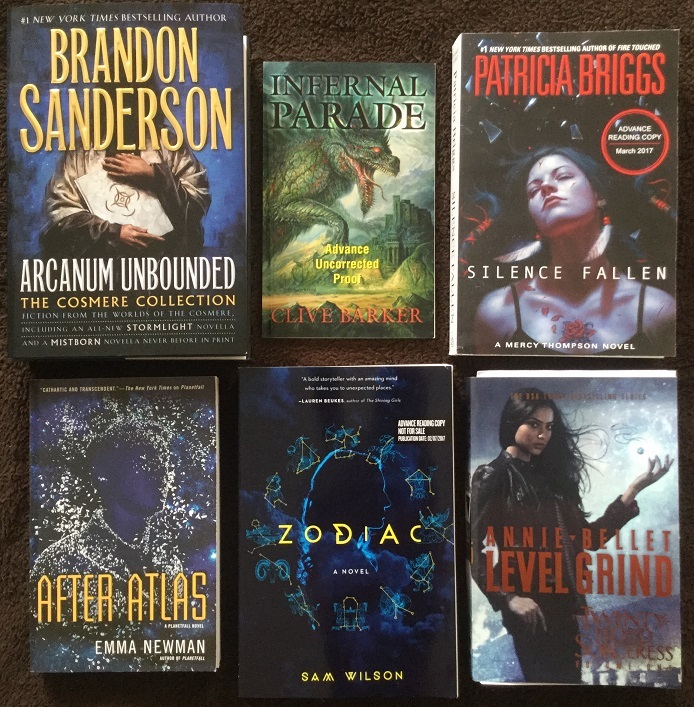 Zodiac by Sam Wilson – More goodies courtesy of Pegasus Books! This was another new-to-me book, so the first thing I did was look it up to find out more. 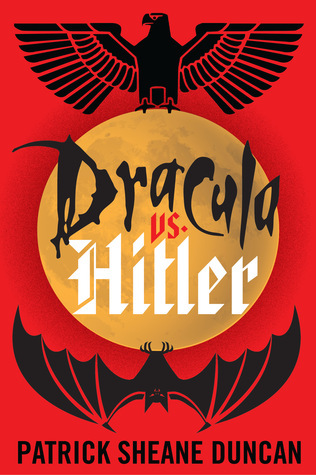 It appears to be a mystery-thriller with just the slightest suggestion of a speculative fiction element – which intrigues me. The synopsis is a fantastic teaser, so it’s very likely that I’ll be checking this one out. Level Grind by Annie Bellet – This is actually the omnibus collecting the first four novellas of a series called The Twenty-Sided Sorceress. With a book and series title like that, how could the gamer in me resist? Really looking forward to reading this. My thanks to Saga Press. Congress of Secrets by Stephanie Burgis – Thanks to the wonderful team at Pyr Books for sending along this gorgeous finished copy. I really enjoyed Burgis’ previous novel Masks and Shadows and I am expecting more good things from her latest historical fantasy. And I’m sure you’re all tired of hearing me say this by now, but I just love that cover. Department Zero by Paul Crilley – From Pyr also came this ARC of Crilley’s adult debut of humor and adventure. I’ve read his YA before and had a great time, so I’m actually quite excited to try this one. Another huge thanks to the publisher. The People’s Police by Norman Spinrad – Another new-to-me arrival, though when I looked it up on Goodreads it seems I had tagged it as a title to watch. And no wonder! 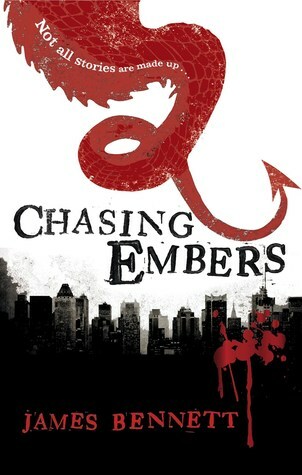 A modern fantasy set in New Orleans, it sounds very interesting. 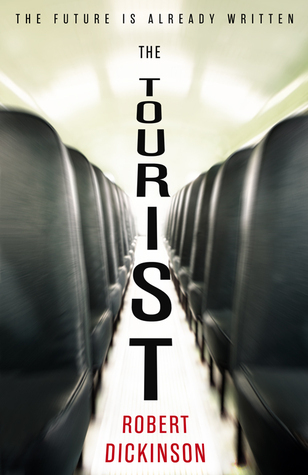 Thanks to Tor for the ARC and for putting this book on my radar. 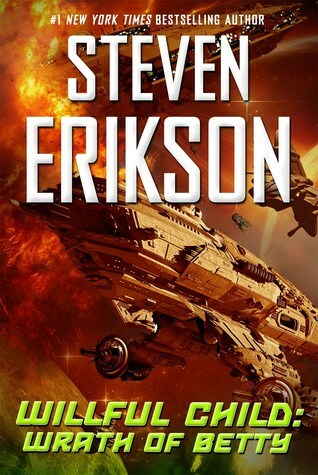 Willful Child: Wrath of Betty by Steven Erikson – Humor can be a tricky beast, especially when it comes to parody. Even more so when your subject matter is Star Trek. 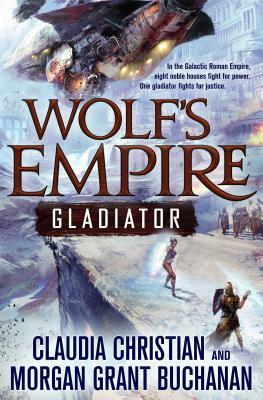 But as you can see from my review that went up yesterday, Erikson knows his source material well and he’s pulling no punches when it comes to this second novel in the Willful Child series. If you’re in the US or Canada, don’t forget to check out our giveaway! Thanks again to Tor for the finished copy and for helping us celebrate Sci-Fi Month! 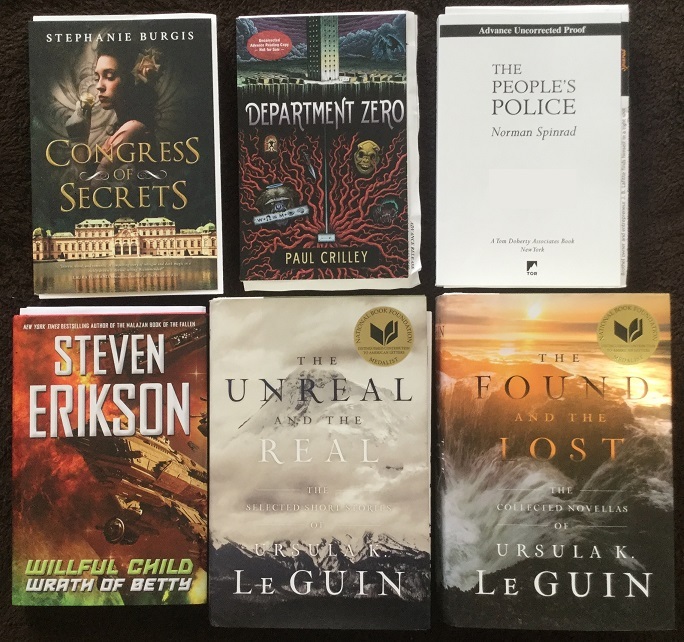 The Unreal and the Real and The Found and the Lost by Ursula K. Le Guin – With shame, I admit I’ve never read Ursula K. Le Guin. Deep, deep, shame. But that is about to change soon, as I plan on diving into these two anthologies – one that collects a selection of her short stories, the other which collects her novellas. Before I accepted the pitch for these books though, I had no idea just how physically HUGE they were going to be, but honestly I should have expected it. These stunning hardbacks are a testament to Le Guin’s long and distinguished writing career. With almost 1,600 pages between them, I’m tempted to take and post a picture of these two ginormous tomes stacked on top of each other, because seeing that is when it really hits home. With thanks to Saga Press and Wunderkind for this incredible opportunity; I’m going to be cuddling up with these books all through winter and savoring each story. 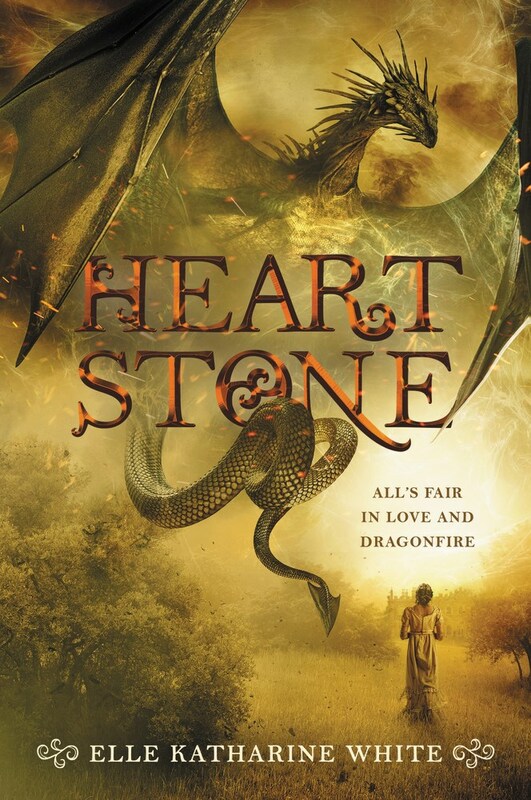 Heartstone by Elle Katharine White – Pride & Prejudice retellings and other Austen-esque type fiction can be hit-or-miss with me. But wait, did you say there’s going to be magic and dragons? Where do I sign up! I really hope this one will live up to expectations. I was thrilled when I was approved for the eARC, with thanks to Harper Voyager. 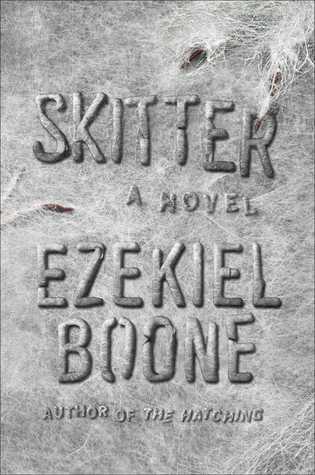 Skitter by Ezekiel Boone – No matter how hard I try, I just can’t seem to say no to these “creature feature” books. Everyone remembers the creepy killer spider swarm in The Hatching right? When I saw the sequel for immediate download on NetGalley, I caved to the temptation. My thanks to Atria Books. Six Wakes by Mur Lafferty – Speaking of temptations, there’s a great many of them from Orbit this fall and winter. I’m actually proud of myself that I only requested one e-galley…for now. 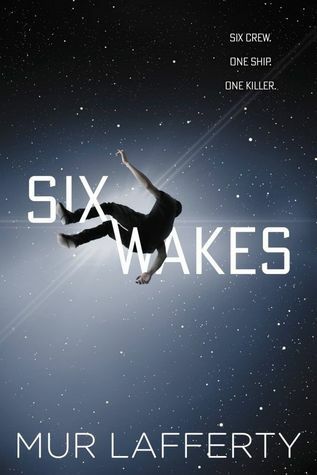 I’m in a sci-fi mood thanks to Sci-Fi November, and Six Wakes has been on my radar for a while. My thanks to the publisher! 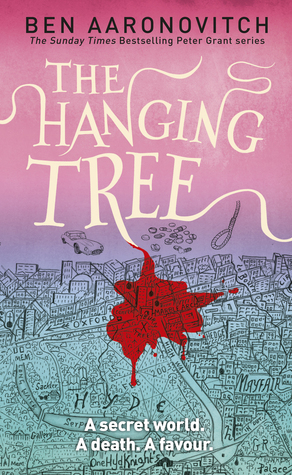 The Hanging Tree by Ben Aaronovitch – Not too many books can make me drop everything and read them as soon as I get my hands on them, but this is one of those cases. The Peter Grant/Rivers of London series is one of my favorites ever, and the wait for book six has lasted so long since it kept being pushed back. Even though it’s not coming out until end of January 2017 in the US (you lucky UK folks get it this month), I’ve already started reading. Thank you so much to DAW. 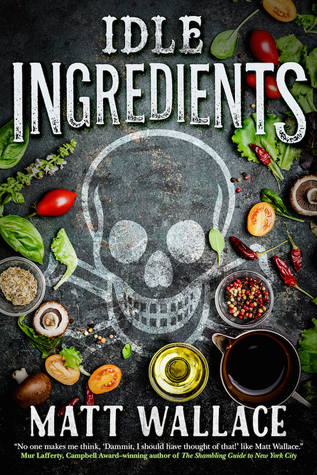 Idle Ingredients by Matt Wallace – Also thanks to Tor.com for sending me this e-galley of the fourth Sin du Jour book. I’m loving the series and I can’t wait to continue the culinary adventures of this lovable cast of wacky characters. 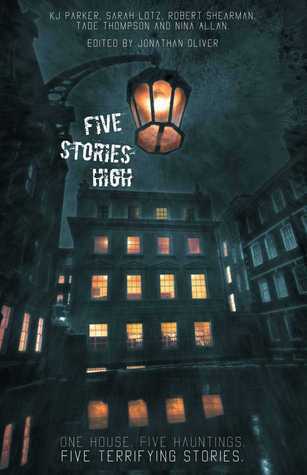 Five Stories High edited by Jonathan Oliver – K.J. Parker. Sarah Lotz. Nina Allan. Robert Shearman. Tade Thompson. I can be a real grouch when it comes to short story collections, but with an author line-up like that, even I was convinced to take a look. 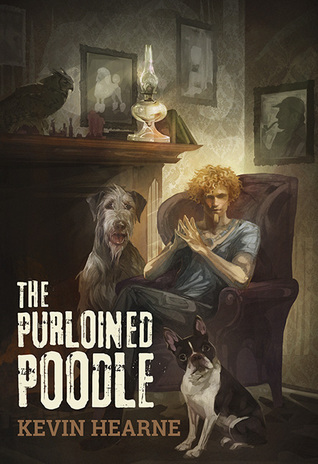 Plus, its premise – five tales of horror that take place in one five-storey Georgian mansion – sounds like it has strong potential. Thanks to Solaris Books for approving me! Big thanks to the authors who stopped by The BiblioSanctum this week! 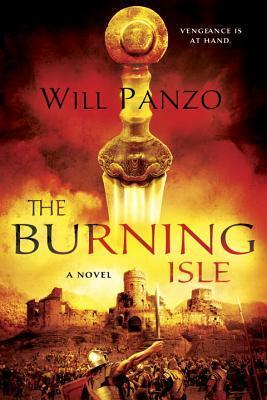 Will Panzo, author of The Burning Isle wrote a fantastic piece on grimdark characters, and we were also pleased to be a stop on the blog tour for Marshall Ryan Maresca’s An Import of Intrigue. Check out their books! Here’s what I’ve been reading lately. Sci-Fi Month is already in full swing and as you can probably tell, I’m reveling in it. 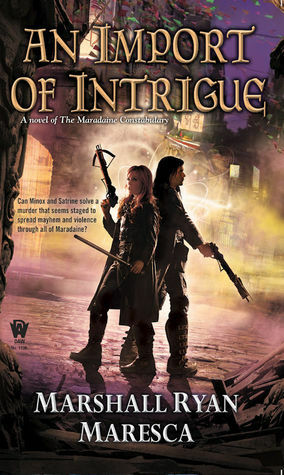 That being said, I’m still reading a good blend of spec fic genres and diving into a lot of November releases. You’ll have noticed that some of these books have already been reviewed, and the rest will be coming soon. Where to start writing down all the interesting titles? Where to start, indeed…. Ursula Le Guin. ❤ I hope you enjoy her work! I am so excited to start these collections! wow that’s nice, so many books for you and I’m curious about a lot of them! happy reading! Ooh very nice! Big hauls are the best!! There are always sooo many new pretties! LOL! Hope you enjoy all your new reads! Thanks, hope you enjoy your new reads too! Looking forward to your review of the Sanderson short story collection. I’m really looking forward to diving in too. Looked over the contents, and there’s quite a good selection. I’m so glad you’re loving After Atlas! I really loved it as well. It’s so different from Planetfall, but such a good book. Emma Newman’s really been hitting it out of the ballpark lately. 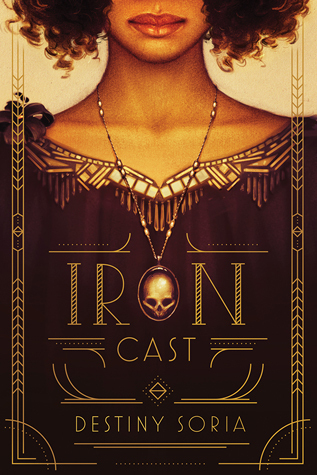 I’m excited to see your reviews for Iron Cast and Arcanum Unbound! I finished After Atlas today, and yep, LOVED IT. I’ll be honest, I enjoyed Planetfall but for me it fell into the 3.5-4 star range, same as all her books in the Split World series that I’ve read so far. Emma Newman writes beautifully, but I hadn’t went WOW over any of her stories yet…until AA. It was just so different from anything else by her I’ve read, but it hooked me good and got under my skin. I’m still reeling. I’m really hoping that she will choose to go back to the characters of After Atlas. Maybe a police procedural in space? I love these posts, although given that I’m trying to behave I should avoid them all like the plague! Some great books on here though and well done with all you’ve read – it never quite seems to make a dent though does it! Thanks for the Skitter tip off – I had a few issues with the first but overall enjoyed it and would like to read the second so I’ve nabbed a copy of that. I have the same thoughts about The Hatching/Skitter. Sure, I had my issues with the first book, but they’re great books for when you’re in the mood for that type of thing, you know? The perfect escape. I was pretty surprised I got sent copies, actually, on both counts. Guess I got lucky enough to land on some lists! Haaaaaaaa cannot wait to read After Atlas too, Planetfall was a favourite ❤ Hoping to get it for christmas! Omg Arcanum Unbounded!! So cool!!! I remember buying the Dangerous Women anthology just for his novella x') But I'll be waiting for the paperback next year, haven't enough room on my shelves for Sanderson's big books! Such a wonderful haul I wouldn’t know where to start. I got Idle Ingredients this week and couldn’t wait to start. I’m trying to hold off on starting Skitter because I really loved the first one. I caved and bought Snowed last night after reading your review. I actually haven’t read Snowed yet, the post I did was a spotlight on the synopsis and an excerpt, though I have to agree, when I was told about this book I was very intrigued! My own copy showed up today and I can’t wait to read it this holiday season. 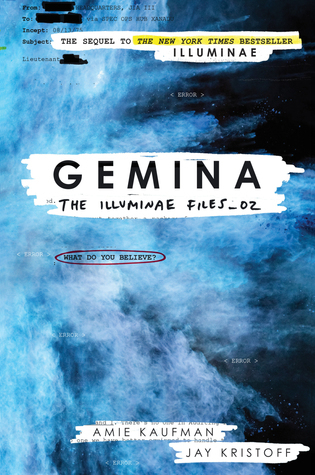 I hope you’ll enjoy Gemina, and I look forward to your review! And Mercy Thompson is great, it’s one of only a few UF series I’ve stuck with over the years! I like After Atlas more than Planetfall too! Like, A LOT more. But then, you know how I felt about the ending of PF, lol. That kind of soured the first book for me. On the other hand, I have to say AA was more to my tastes. I have a thing for sci-fi noir/mystery novels and I thought it was one of the best I’ve ever read. I’m part way through Level Grind right now and definitely look forward to hearing what you think of it! I mentioned one of the Gaming References to my husband (that I didn’t get), and he started laughing (he got it, obviously). I caved and requested Five Stories High. I could help it. I think we talked about the UKLG collections on your last STS post – but I’m really happy to see those beauties here this week! 😀 Also very curious to know your thoughts on Congress of Secrets once you’ve read it. The only new book I have at the moment is Ryan Graudin’s Blood For Blood. 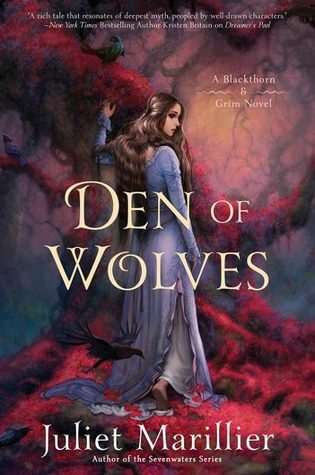 I’m also 2/3s of the way through, and… I think it might be even better than Wolf By Wolf, but I’m trying to reserve judgment until I hit The End. So far it is – but right now, I’m also really, REALLY scared for all the characters I like! Yeah, I’d tried keeping up with his short stories before but recently he published a bunch and I just fell behind. Having many of them in this one big collection is most convenient! I’ve read and really enjoyed one Clive Barker book and the one above looks crazy! I’ll be interested to hear what you think about it. I am super jealous at how prolific you are with the reviews and they are always really thoughtful as well, Dang you!